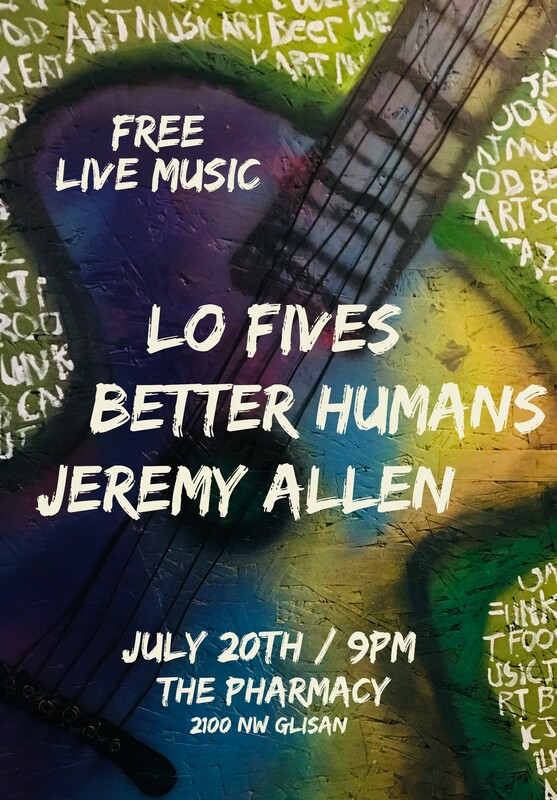 Portland bands Lo Fives & Better Humans,+ SoCal singer-songwriter, Jeremy Allen, are on tap to provide a rocking soundtrack to your summer evening at the Pharmacy. Show starts at 9pm. Free!